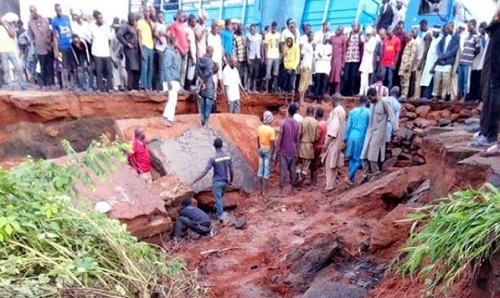 The Federal Road Safety Corps (FRSC) warned commuters on Sunday that the bridge after Mowo Junction on Mokwa-Jebba road has collapsed due to heavy rainfall. The Corps Public Education Officer, Mr Bisi Kazeem, issued the alert in Abuja on Sunday morning. “Vehicular movement from both sides of the road is affected. Motorists are advised to take Lokoja road if going to Lagos and Abuja in the interim,” Kazeem said.